Mediatrocities is TUGM’s podcast chocked full of everything you never knew you needed to know about obscure and underground movies, music, TV and art from Chicago and elsewhere. Host Legendary Lew interviews filmmakers, artists, musicians and other interesting folks who help make Chicago a great center of groundbreaking entertainment. Mediatrocities is also home to the hit radio podcast comedy Strike That Line! What do you get when you combine the warped humor of Terry Southern with the goofiness of The Goon Show and altered states of The Firesign Theater? You get Strike That Line!, the newest comedy creation from The Underground Multiplex. 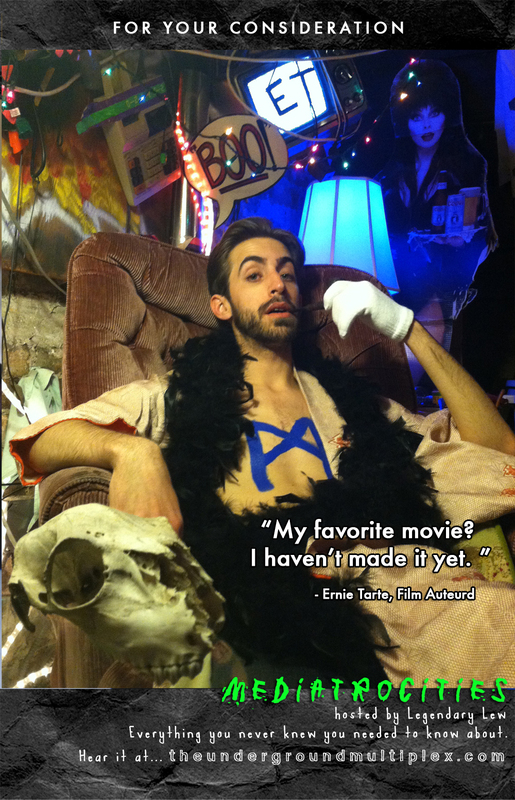 Ernie Tarte: the world’s most narcissistic film director. This genius auteur also has a prolific list of film credits. Each of his movies has had exclusive screenings running 24/7 in his own mind and playing to rave reviews. Dolly Dentura: CEO of Dentura Enterprises, the one corporation owning every good and service in The United States. One-time second string to The Mickey Mouse Club in the late 1950’s, Dentura wily used her savvy to acquire businesses by the dozens until 2008, when she made the final leverage buyouts to all remaining businesses in the U.S. The monumental task of renaming all logos and trademarks continues to this day. Frank Conrad: Secretary and right-hand man to Dolly Dentura. Formerly known as Frank Conrad Ovdeennarray (because of his love for armaments), Conrad dropped the third name when spelling it correctly posed too much of an ongoing challenge. In addition to secretarial/reception/guard duties, he takes on roles as emcee and stand-up comic of venereal material as needed. 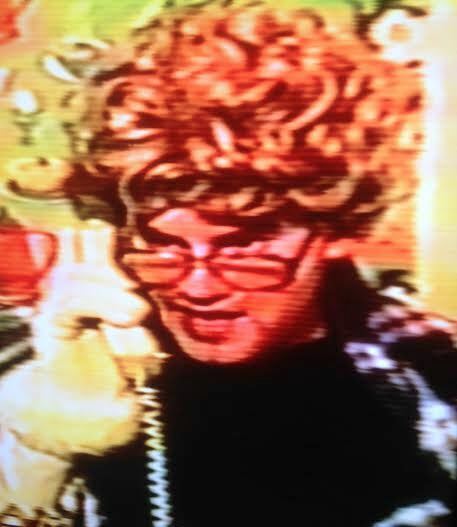 Fatback Charlie Hepher: Owner and proprietor of Fatback Charlie’s Cardiac Arrestaurants (a division of Dentura Enterprises). 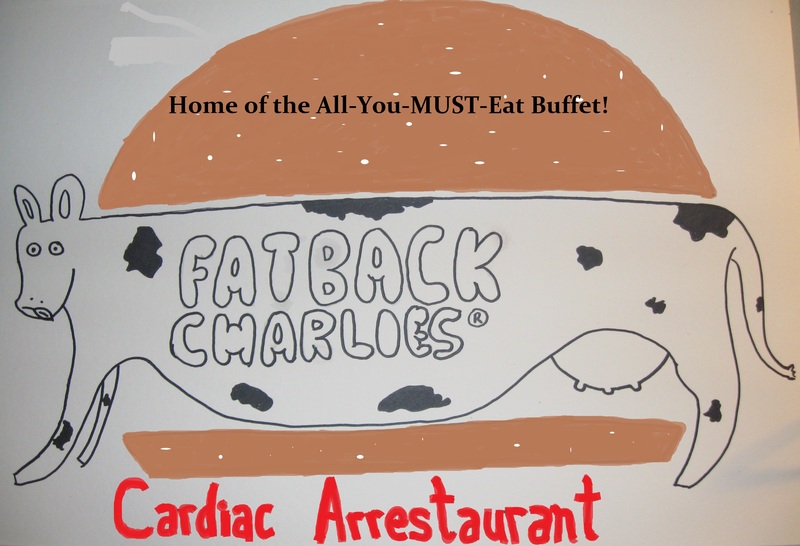 Fatback Charlie’s is home of the first ever “All You Must Eat” restaurant, where customers are compelled to consume huge portions of food to combat world hunger. Cash Johnson: Producer of TV shows, movies, radio shows and an unknown number of children linked to him via DNA testing. His breezy California stylings smooth over the most staunch detractors just enough to collect his paychecks. A.P. Perkins: Conceived in a restaurant, Mr. Perkins uses his “God-given” talents of vocal wind-ups to entice crowds as a megachurch pastor and motivational speaker. His initials are believed to stand for “Analpore”, which Mr. Perkins insists is an Italian name, despite others trying to convince him his parents were not being respectful. libraries when you can count on the mega-sponge brain of the ultimate answer man? Besides, who wants to know about such boring things as physics and art when gossip feeds the populace? Narrator: Would you just listen to that narrator?